From breakfast to late-night dinner, here are six insider picks in Barcelona. 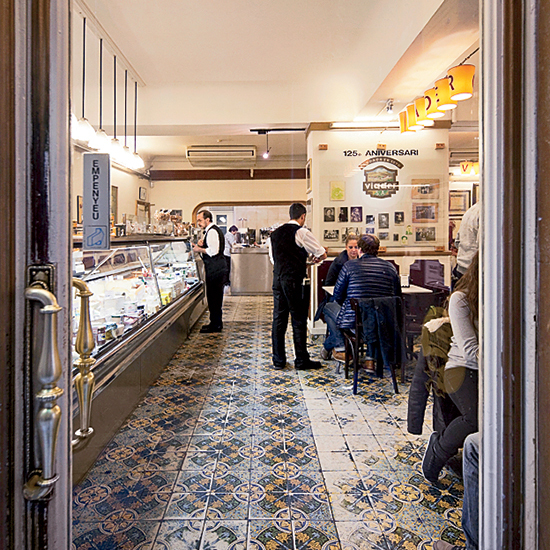 Albert Adrià, co-creator of the legendary El Bulli, loves breakfast at the old-school café Grnaja M. Viader (photo). "I opt for a cappuccino and some dry sausage from the to-go counter out front," he says. From breakfast to late-night dinner, here are six insider picks in Barcelona.